These days it seems like more and more people are choosing a vegetarian or vegan diet. On the face of it, choosing to increase your intake of fruit and vegetables - and decrease your intake of meat and animal products - sounds kind of easy. Aside from the various ethical and environmental considerations, it's a choice that could have all sorts of health benefits. But that's not actually a given, as I've recently learned, and it's a lot tricksier to cut out a food group than I'd expected. 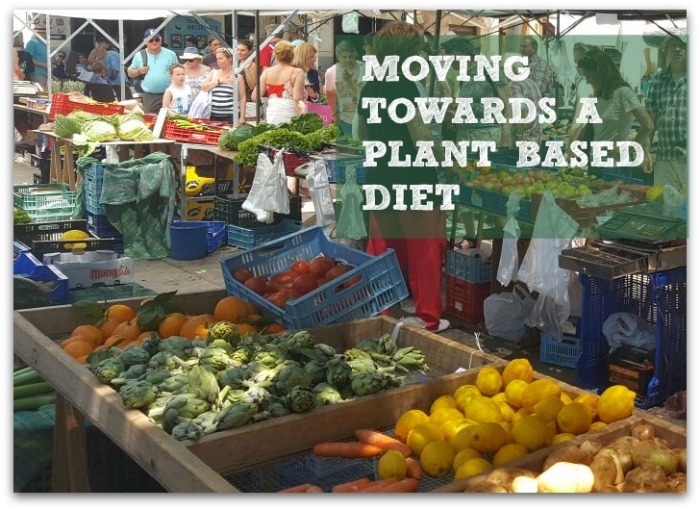 Here's some stuff I figured out, on my journey towards a plant based diet. I gave up pork first: for lots of reasons, I’d love a pet pig, and those same reasons made me think twice about eating them. 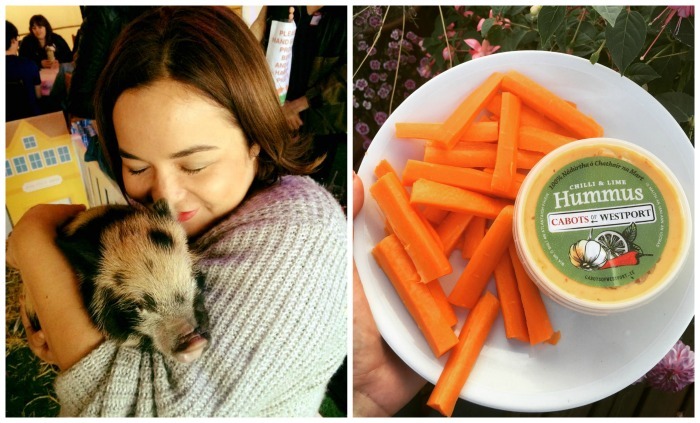 Not eating pigs got me thinking about other things, like ethical eating choices, wanting to feel healthier and reducing my environmental impact and so, about a year later, I stopped eating all the other four and two-legged animals. I think it's much easier when you transition in stages, rather than change everything at once; that way you can really think through your choices - which makes it easier to stick to them. At the moment, I still eat fish, but that might change. It might not, and that’s ok, too - the important thing is that your choices are considered, and that you're comfortable with them. For the first few weeks after I stopped eating animals, I was pretty much just eating carbs and fat: I replaced my previous diet – which was relatively healthy and balanced – with one that was heavily reliant on junk-food. I didn’t know what to cook or eat anymore, so ordering a veggie pizza or a bag of chips seemed like the easiest route. One day it dawned on me that I wasn’t actually eating that many plants (although I was buying plenty of them, leaving them in the fridge for two weeks and then throwing them out - and I hate wasting food). Once I started to focus on what I can eat, rather than what I can’t, and increased my fruit and veggie intake, accordingly, things started to get a whole lot easier. That's when I started to think 'plant-based' instead of 'giving up meat': the mental shift made things make a lot more sense. Make sure, too, to add a Vitamin B12 supplement to your diet: you can only get this from animal-based foods or from supplements, and I speak from experience when I say that a deficiency feels pretty awful. We all know that getting and staying organised is the key to making any dietary change stick. Rather than emptying out your cupboards of all the ‘bad’ stuff, fill them up with plant-based alternatives, and use them to tweak your favourite recipes. Of course, I didn't do this straight away - but a turning point for me was when Alpro got in touch,* and sent me some of their plant-powered products. 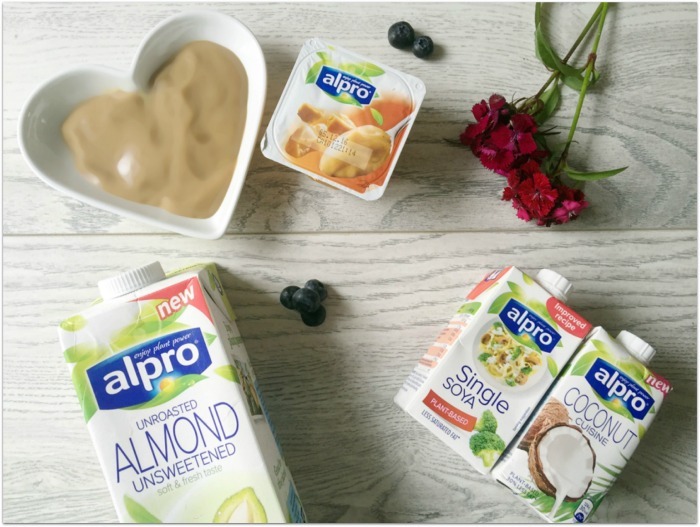 While I haven't cut out dairy completely, the Alpro almond milk has become a favourite cows-milk alternative - and himself is very partial to their Heavenly Velvet Vanilla dessert, which tastes kinda like custard. 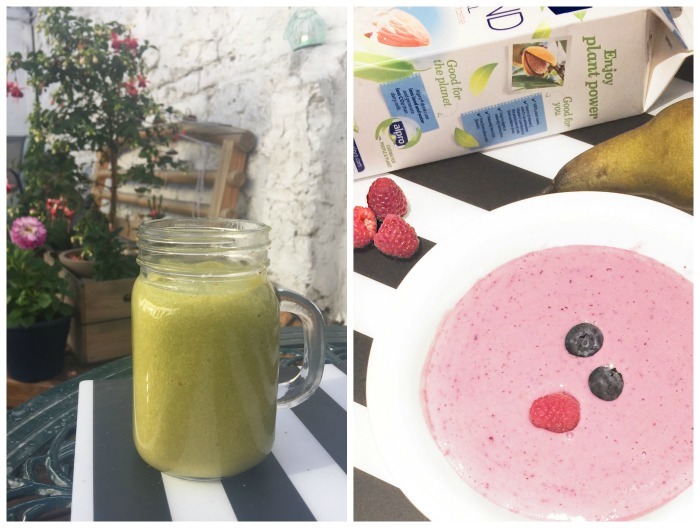 I love the yogurt alternatives for smoothie bowls: the Hedgerow smoothie with Simply Plain is my favourite and I found it on the Alpro site, which has loads of recipe inspiration. I find it really helpful to plan out all my meals which helps with shopping and waste reduction; I also love pinterest for finding and gathering together recipes that I want to try. Here’s my recipe board if you want to take a gander. Is this something you've tried or considered? If you have any tips, please leave them in the comments! *this is not a sponsored post, but Alpro did send me a selection of their products along with a voucher for the K-Club which I told you about here.